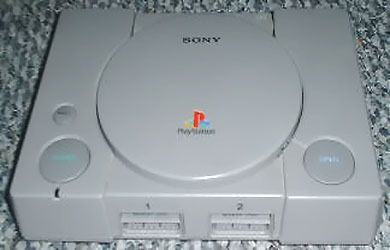 Who doesn't know about Sony's Playstation, the system that got the ridiculously popular Final Fantasy VII? Even before Final Fantasy VII was released, the Sony Playstation had many stellar games in it's library. My experiences with the Playstation are both good and bad. Many note how faulty Sony's products are. I will not break that trend...seeing as I (Vtd) had 4 Playstations die on me in a matter of 2 years. Not cool. However, I love gaming so much, that did not deter me from buying a fifth one. The quality of games on PS is very debatable, though it's generally a mixed bag. While the Playstation has an insane number of games released on it, I (Vtd) ask myself: "How many of them are actually playable?" A lot of them. However, I've (Vtd) played a vast amount of mediocre games too. What should you do then? Look for the good ones or let friends try to help you make informed decisions on what you should buy! There are many gems on PS, but distinguishing the gems from the duds on PS can be hard due to the vast library PS has. Since our focus is obscure games, we can generally appreciate games that have an acquired taste, so maybe our reviews will be useful. Maybe not. Playstation games are mostly cheap outside of the popular titles. At any rate, enjoy.